Country living at its best. 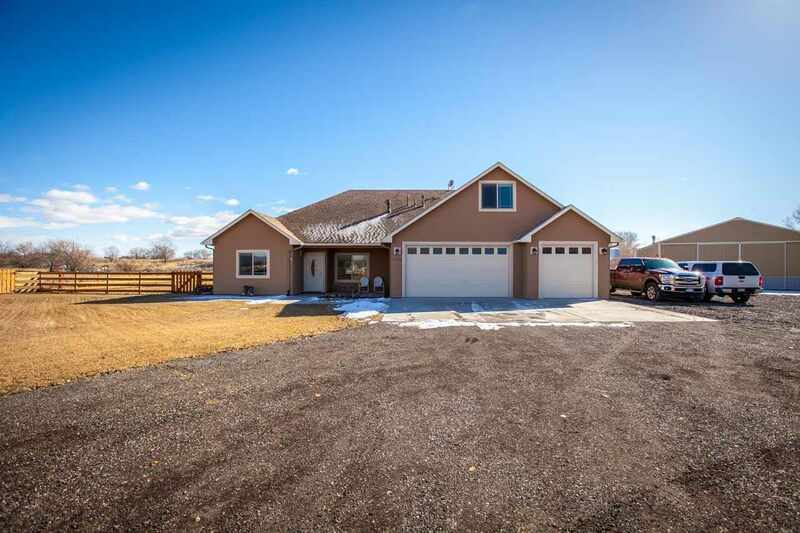 Minutes from Downtown Fruita or hiking and biking trails. This amazing 2100 sqft home can be a 3 bed/2 bath with a bonus room or the bonus room has a closet to make a 4th bedroom and we also have an office. 3 car garage, open concept with granite counter tops, carpet and tile. Brand new outdoor patio with pergola and set up for hot tub with amazing views. 36x54 barn/shop is less than 4 years old and has a loft and horse stable. Approximately 3+ acres is already planted in grass hay, with a live creek running through the property, which makes this completely ready to go. Fencing is all in place so this is move in ready for you and your animals. Plenty of RV parking for all of your toys. Don&apos;t miss out on this one.